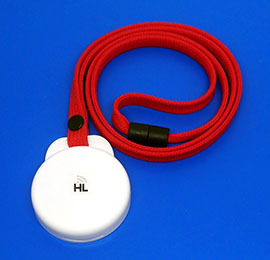 Are you looking for special HF or UHF RFID tags? Are you looking for a company that will be able to develop and manufacture HF and UHF RFID tags according to your requirements? Are you looking for a company that is flexible and has a creative R&D team? Our company was established in 2003 in Brno, a city in The Czech Republic. Our mission is to develop and manufacture HF and UHF RFID tags on a high technical level, in order to meet the specific requirements of our customers. The success of our company is proven by the fact that our RFID tags are used in many industrial environments by customers all over the world. We are constantly thinking about innovative ideas, improving our extensive product range, and broadening the possibilities of what can be achieved from a RFID tag. We understand that RFID Technology is a creative area which requires intimate knowledge regarding RF engineering, material know-how, and ingenious design. 2017 was an amazing year for our R&D team. Each year we develop and release a range of new customer made RFID product solutions, and 2017 was no exception. From 2003, we have developed more than 70 original UHF tags. Thank you to all our partners who have participated on our project, “UHF RFID Tags Without Boundaries”. We look forward to sharing more information about our latest customer-made solutions on our Twitter account. For 2018 to 2020, we have lots of plans and amazing projects in store. We will be happy to share information about our new tags and information from our RFID HUB knowledge. Please ask us for details, as only 70% of our production range is displayed on the website. The remaining 30% of products are custom RFID tags designed especially to meet customers’ technical requests. We are a partner of many “Industry 4.0” projects, and we provide support to RFID system integrators in more than 18 countries across the globe. Please let us know which kind of HF and UHF tags you are looking for and how we would be able to help you. Our team is ready to find you the best solution. We thank you in advance for the opportunity to offer you our knowledge, experience and our products. We are a member of the Impinj Global Partner Network. Impinj is the leading provider of RAIN RFID solutions that provide Item Intelligence in retail, pharmaceutical, healthcare, food and beverage, manufacturing and supply chain logistics, and many other industries.